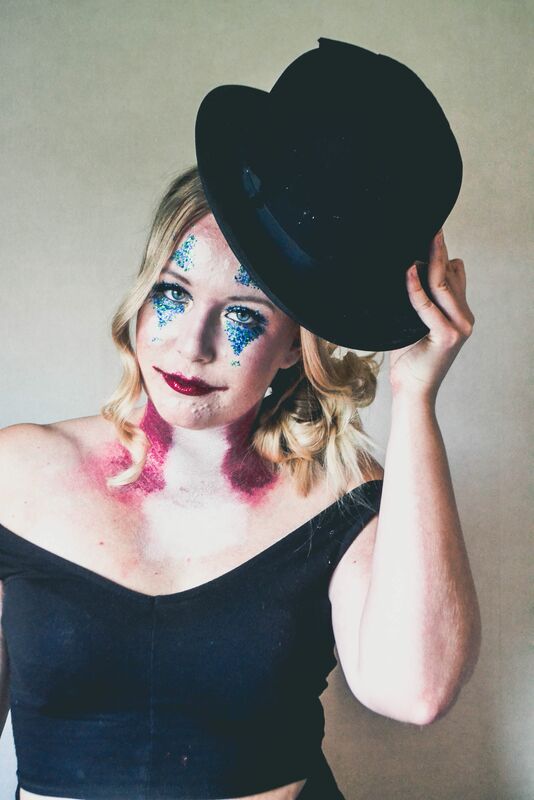 The other day my friend Viktoria and I met up for a fun day doing makeup together. 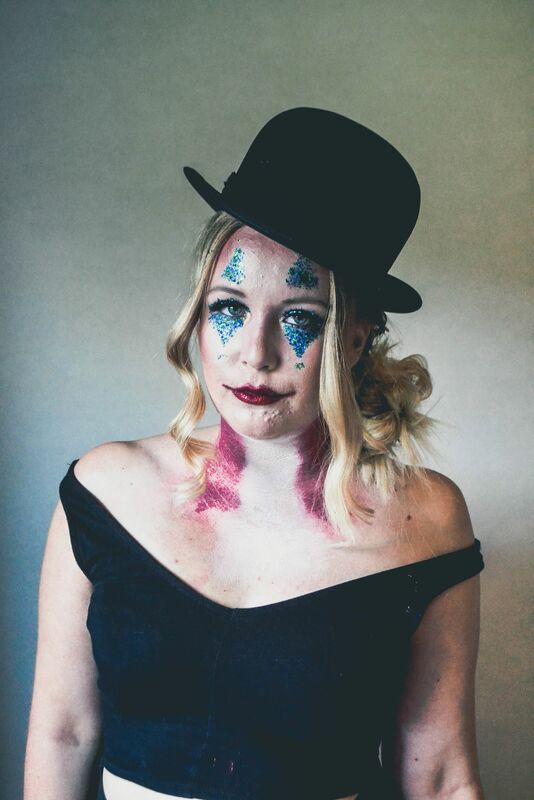 We had decided to do Halloween makeup this time now that the weekend it's approching. 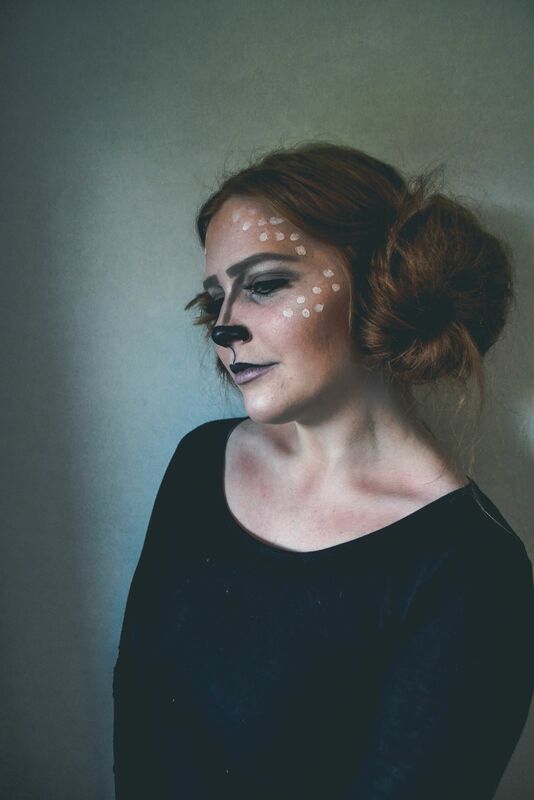 Viktoria has gone to school for makeup and is so amazing at it! 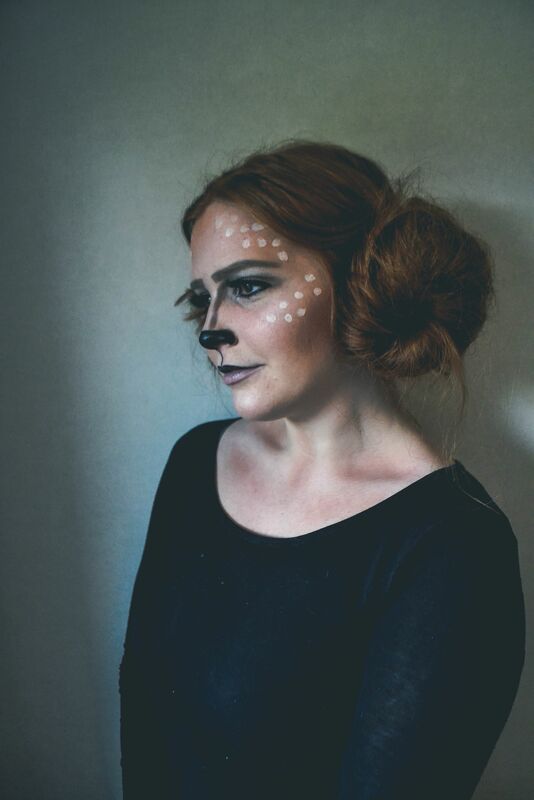 We started our makeup session by looking up looks we would like to try. 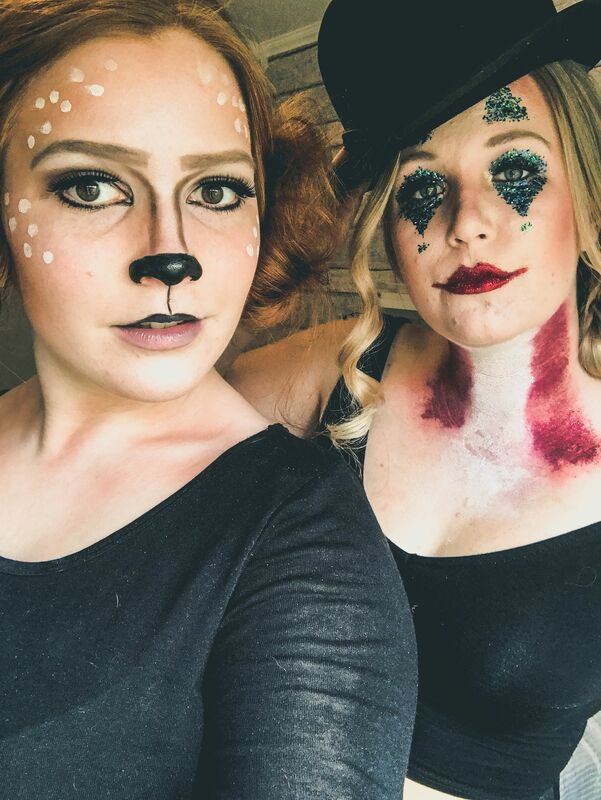 Victoria decided to do a clown makeup on herself first and she showed me a deer makeup that she thought would look cool to my red hair and brown eyes! 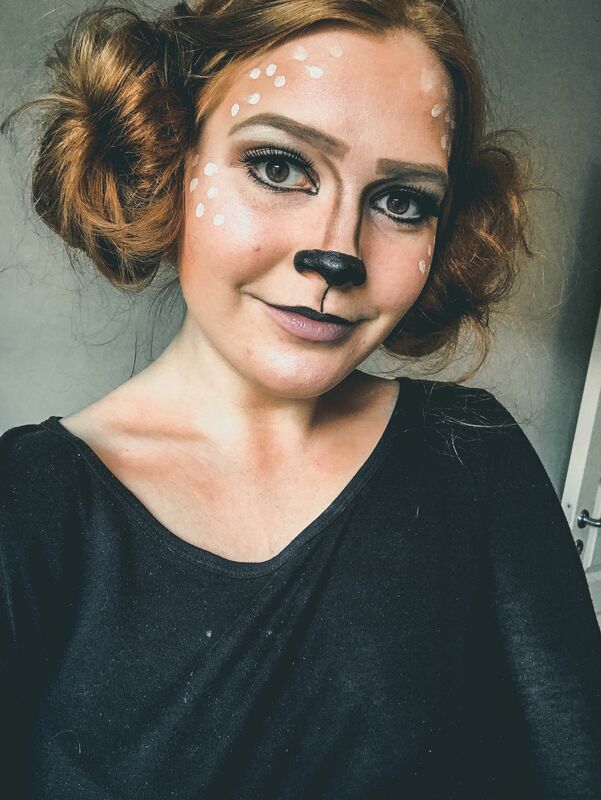 I have to say that I'm really happy about how my Bambi look turned out, considering that I kind of just started experimenting with makeup! 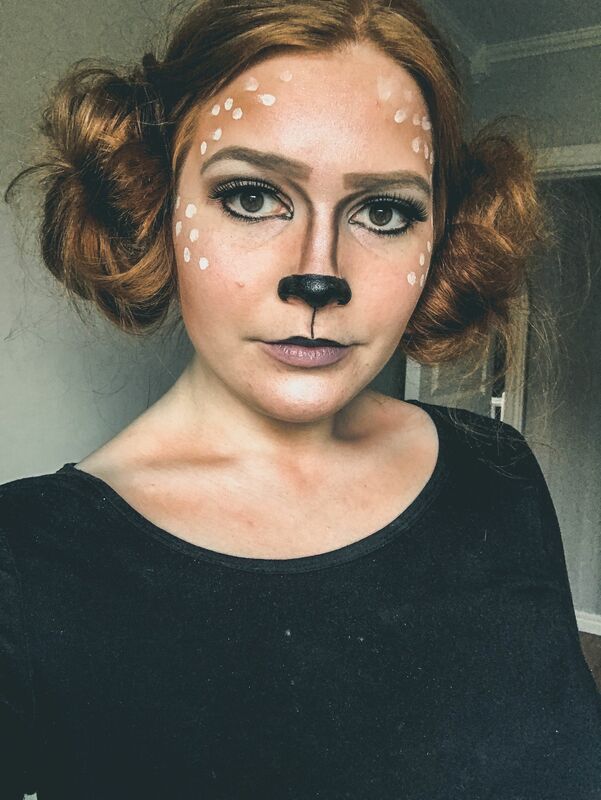 Looking at the pictures afterwords I have to say however that I look like a mix between princess Leia and a lion with my red spacebuns, haha! 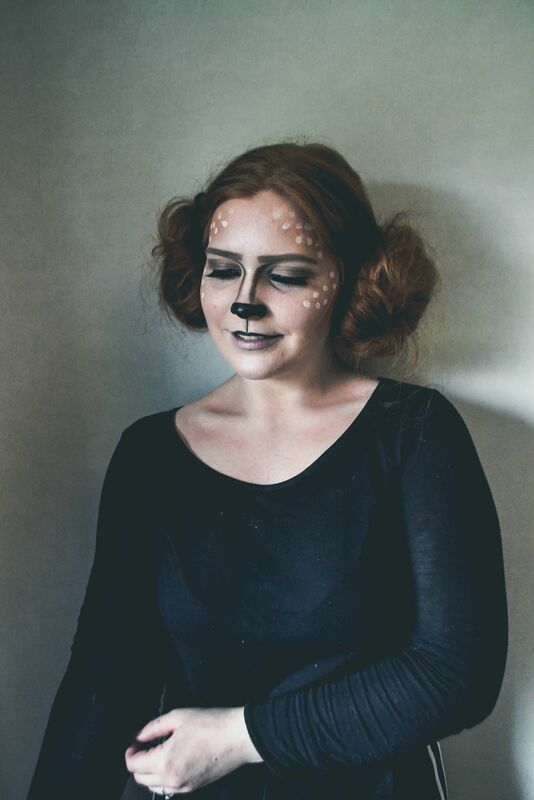 But I really liked the deer makeup, fun idea for a Halloween party! 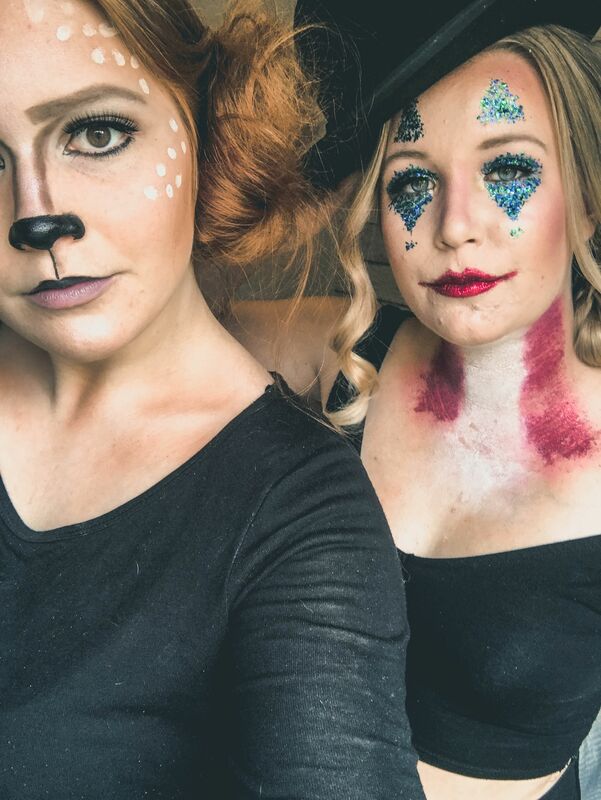 For our second look we decided to try a vampire look on us both! 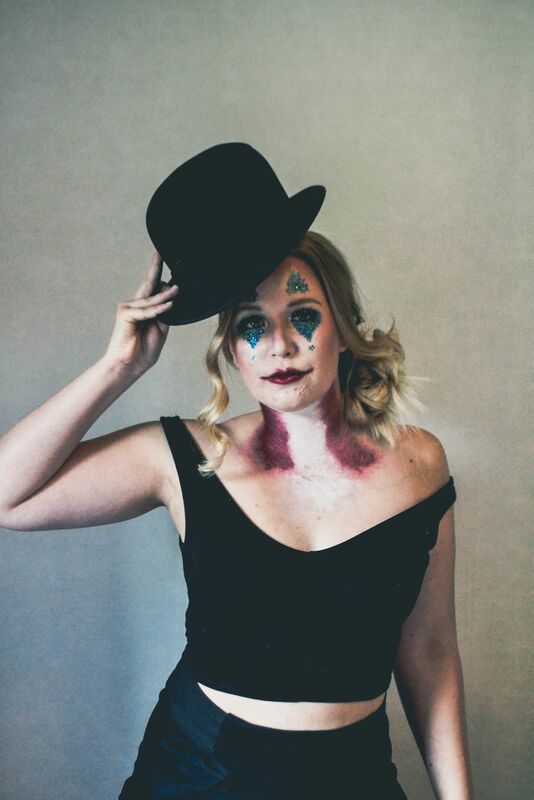 I had bought some Halloween candy for us to eat while doing the makeup and among the things were candy blood bags containing a strawberry liquid. 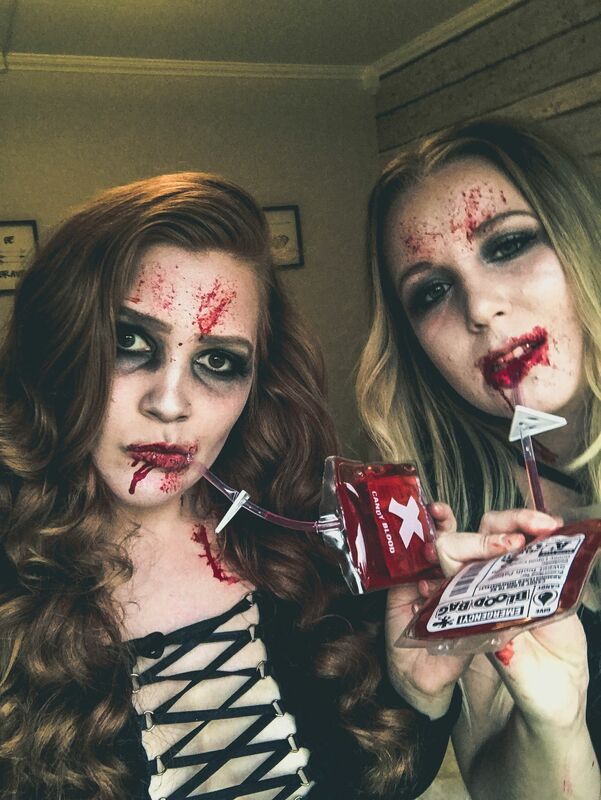 We thought that the fake blood bags would be such a fun prop for a photo that we decided to go with the vampire makeup for look number two. 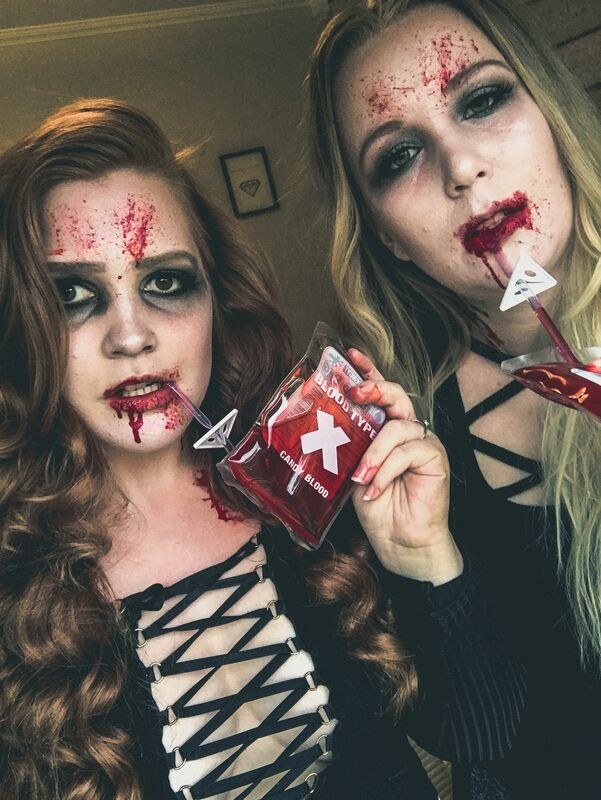 I did my base and eyeshadow and Viktoria made our bloody makeup! 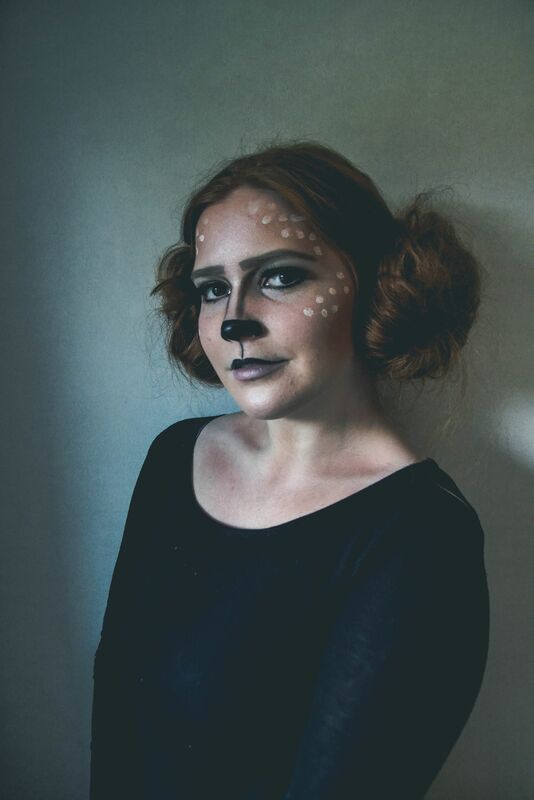 It turned out sooo amazing!! 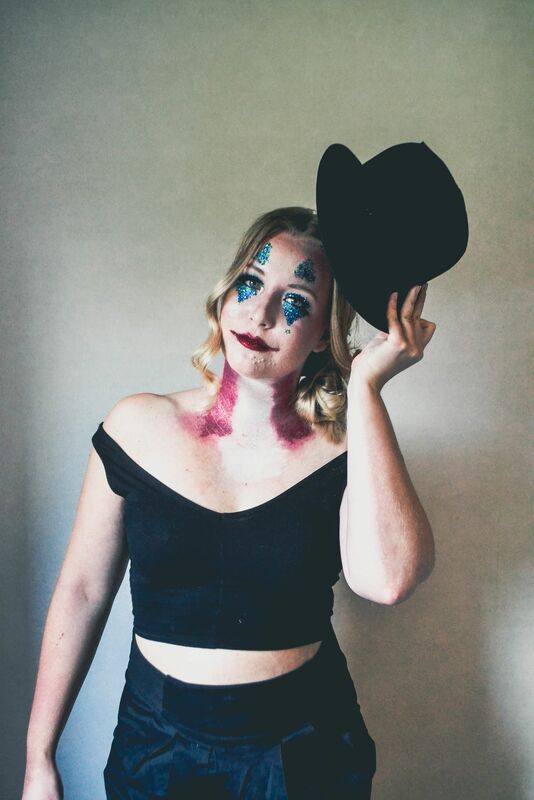 I loved how real she made the vampire bite look and the blood spatter was incredible. 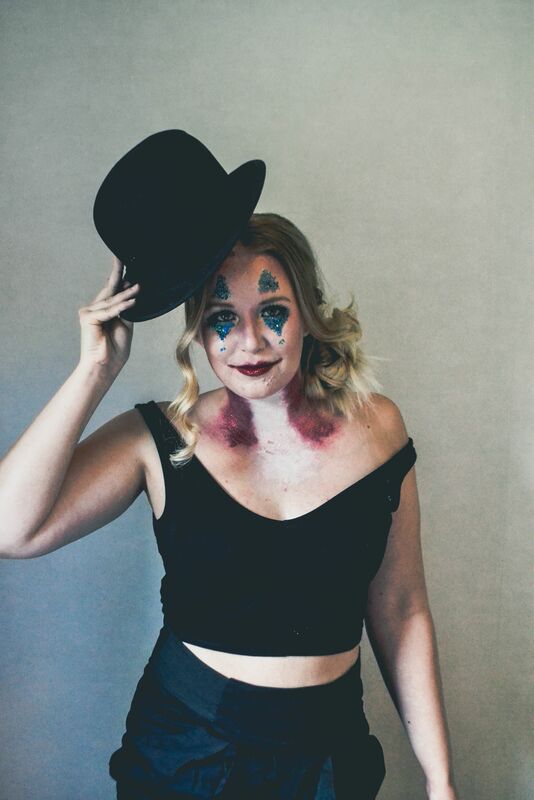 Also a fun look if you are looking for a more darker custome for halloween. My bloody vampire makeup by Viktoria! The candy blood bags are bought from Dollarstore in Sweden. The candy blood bag is a fun prop for a Halloween party! 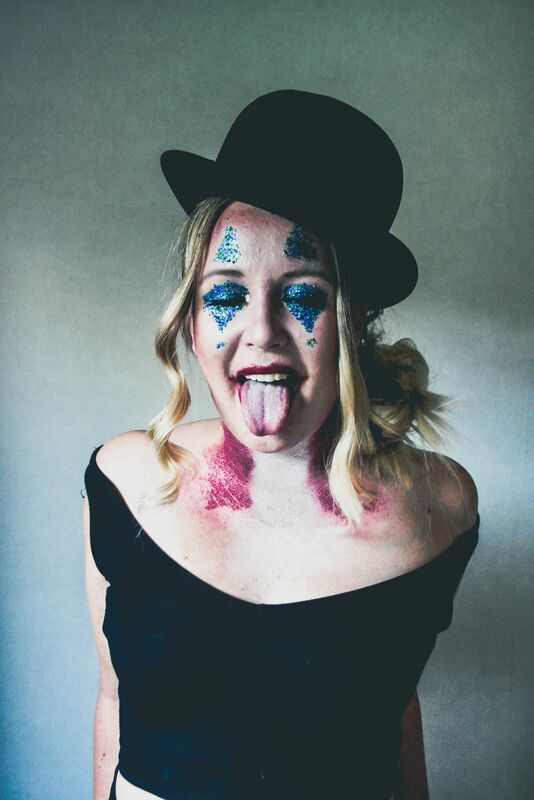 My favorite picture of Viktoria's clown look! 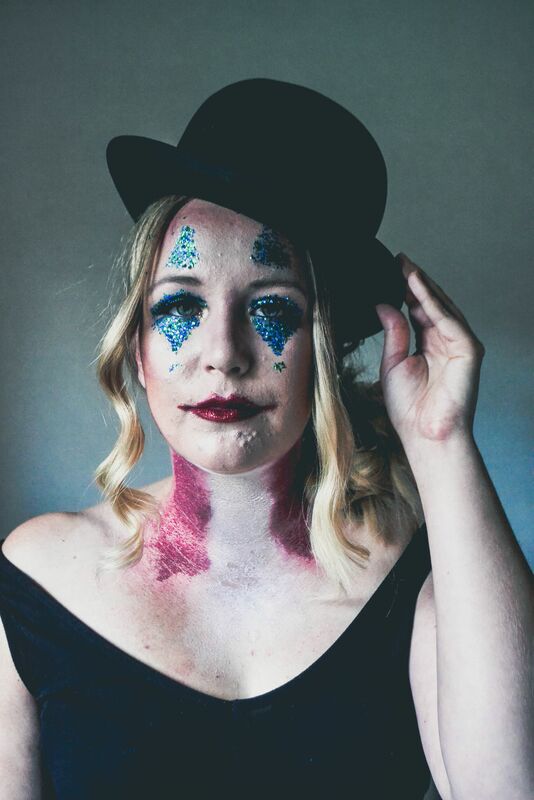 I really liked the idea to have glitter around the eyes, really made the makeup pop. 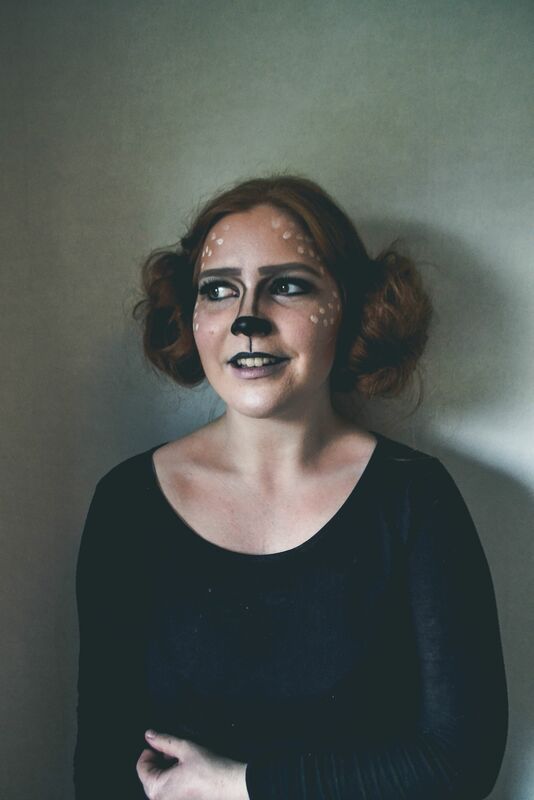 The deer look was a fun idea for my red hair and brown eyes!